Let’s face it - migrating your store is a significant step and requires your rapt attention. Even if you’re moving from one platform version to another there is no magical “one-click” button to make it all work right away. Migrating from Magento 1 to Magento 2 you’ll have to deal with database import, theme, customization, and extensions issues. Sounds frightening? Good news is that the time and resources on database transfer can be significantly reduced. 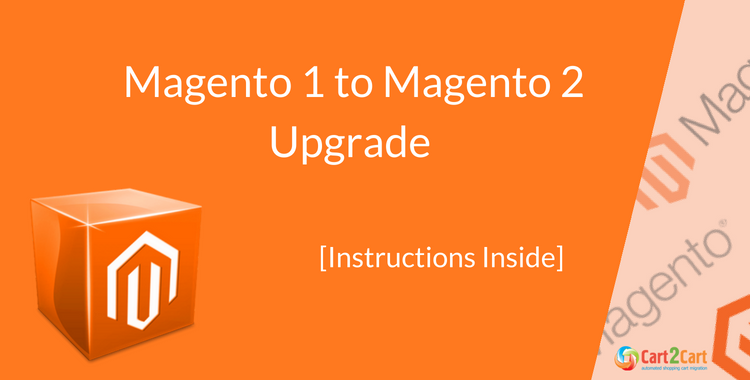 Keep reading and find out how to upgrade to Magento 2 version in a couple of simple steps. Your online store is under stress each time the amount of clients suddenly increases? This is the first and one of the most significant signs that upgrading is inevitable. Slow download, broken pages and poor visitor experience can spoil your reputation essentially. Managing online business you analyze key indexes daily and conversion rate is the data to take into account. Once the conversion rates on your website are increasing - this is the great way to go and the marketing campaign is efficient enough. Otherwise, you need a platform that offers best conversion-driven functionality. Migrating from Magento 1 to Magento 2 you work with the eCommerce solution that has pretty the same structure and interface but you receive enhanced functionality as if you’ve migrated to the absolutely new shopping cart. Cearly, once you start the eCommerce way, the web store is optimized for the particular flow of customers and works fine. Time goes by and you move through the steps of business evolution, to cope with each new milestone you need a platform with advanced eCommerce functionality. As the number of purchases increases, think in advance not to push the online store beyond its limits and to be able to handle all the orders in a timely manner. Upgrading Magento to the latest version once you plan to do it and not because you’re forced to implement the changes immediately. This is a good example of forward-way thinking. Introducing new technologies before your business opponents is the key to success. One of the most frustrating situations is when all the internal factors remain unchanged yet the profit decreases dramatically. Where are all your customers? Because you don’t move - they do - and now they are visiting the shop offering greater user experience. Still, don’t know whether the timing is right? Check our recent blog article Magento 1 vs Magento 2: How do I know it’s time to upgrade? Most Common Ways to Update Magento? There are a couple of ways to perform Magento Upgrade. For instance, you can hire a dev agency to perform the transfer of eCommerce entities. This way, this phase of upgrading will cost you pretty penny. One of the drawbacks of using custom scripts is that the quality and accuracy of data transfer is irrelevant and might cause data loss or duplication. Correcting the mistakes might take as much time as it was spent on creating the code for the transfer itself. Note, you should not simply import information - all the relations between the categories have to be preserved. Otherwise, it makes no sense. One more option - well-known copy/pasting procedure. Though this one it a real waste of time. Applying manual data import in the era of AI technologies is pointless. Plus, the risks of data loss and mistakes are high as with the custom scripts. What is the solution? The smartest way to import products, orders, customers and other necessary information to Magento 2 is to use automated migration service. Among the companies currently available on the market check the one with the vast experience and great customer feedback. No one can give you more relevant feedback than a person performing the same data migration as you are about to go for. Cart2Cart has 100,000+ data import on its count. Our tech team knows the peculiarities of each shopping cart. Because technically Magento is the platform with the most difficult structure we would advise trusting your sensitive data to the company that guarantees 100% data security. The key benefit - your current store will remain up and running during the transfer. 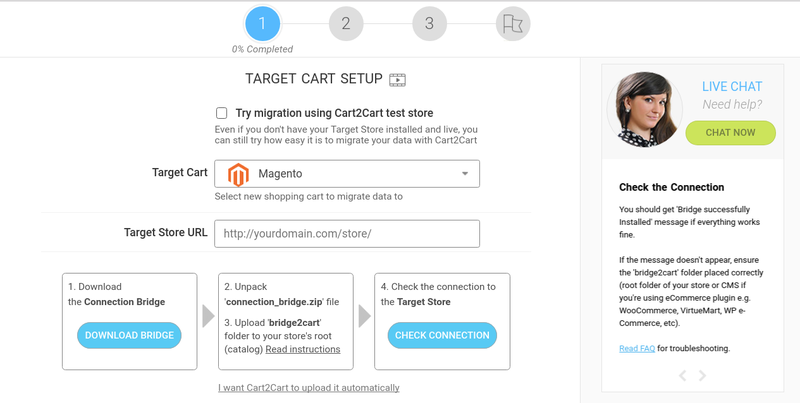 Check how easy it is to launch the automated upgrade via Cart2Cart, efficient Magento 1 to Magento 2 data migration tool. You might not need all the features while launching the automated data, but because it is a comprehensive guide we'll describe every aspect you might face. Migrating from Magento 1 to Magento 2 will include database migration, reinstalling the necessary extensions, performing the required customizations on designs and eCommerce functionality. Going through the steps below you’ll be able to import database to your enhanced Magento automatically and focus on important business processes that require your personal interference. Data import is the aspect Cart2Cart can perform with the minimum of efforts spent. On every step, you get useful tips provided by online Migration Wizard, besides the Support Team is available 24/7 to lend you a hand with any upgrading-related issue. Step 1. Register Cart2Cart account. Registering an account is the usual first interaction with an online company and Cart2Cart is not an exception. 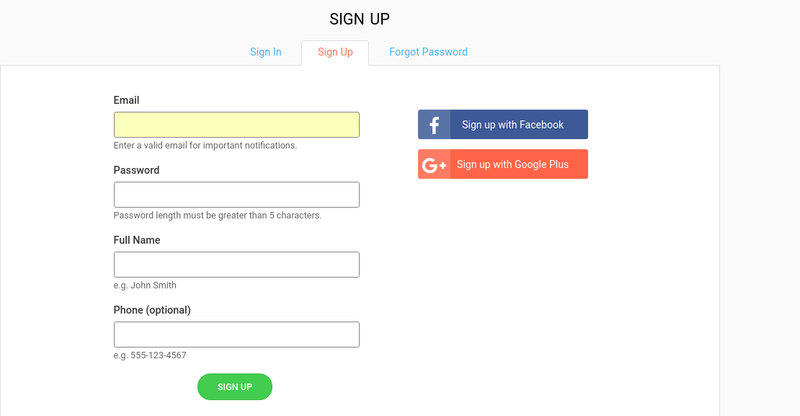 You’ll need a valid email address or will be able to sign up via Facebook or Google+ profiles. Once you create your account on Cart2Cart official website we’ll take all the necessary measures to secure your data. Note, Cart2Cart is GDPR-friendly company, any time you can send a request for the personal information we collect as well as ask for its complete or partial extraction. Step 2. Start upgrade set up. As we’ve discussed above upgrading from Magento 1 to Magento 2 is rather a migration of data than a simple procedure of e-shop upgrade. You will transfer entities from one store to another, therefore, we call it “Migration Magento to Magento”. Step 3. Get Magento 1 store ready. From the drop-down list choose Magento as your Source Cart. Insert its URL and download the Connection Bridge. This file will establish the connection to your old store. Unzip it and upload to Magento 1 root folder. Step 4. Set up Magento 2. Repeat the same procedure of setting up the store. Choose Magento as your Target Cart. There is no need to provide both stores versions - they will be defined automatically. Upload the file with the Connection Bridge, unzip and upload it to the Magento 2 root folder. Once you have installed the Connection Bridges to both Magento stores you’ll receive the following notifications and now you are ready to proceed with selecting the entities to transfer. You can either transfer all of your data or select only those categories you find necessary. Note that with Cart2Cart you pay only for those items you actually move and the price of Magento upgrade depends exclusively on the amount of data to be imported. Additional options are available for free during the Demo Migration. Don’t forget to select the ones you are interested in while setting up the test upgrade. 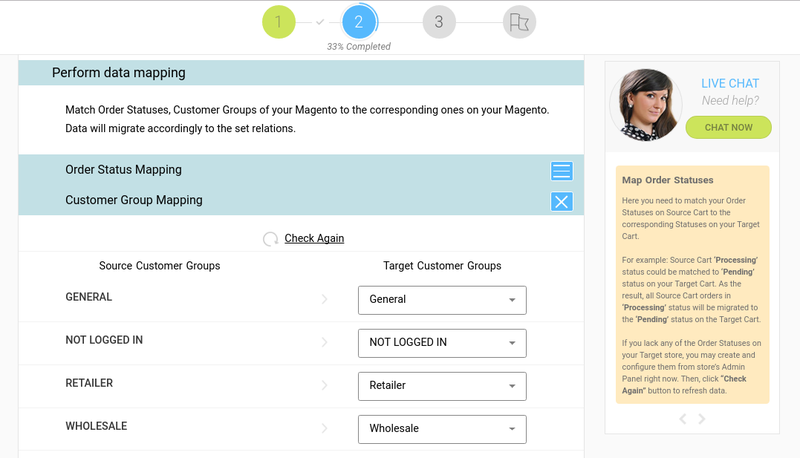 Besides, on this step, you can map order statuses and customer groups. Select the necessary descriptions and all the data will be transferred respectively. 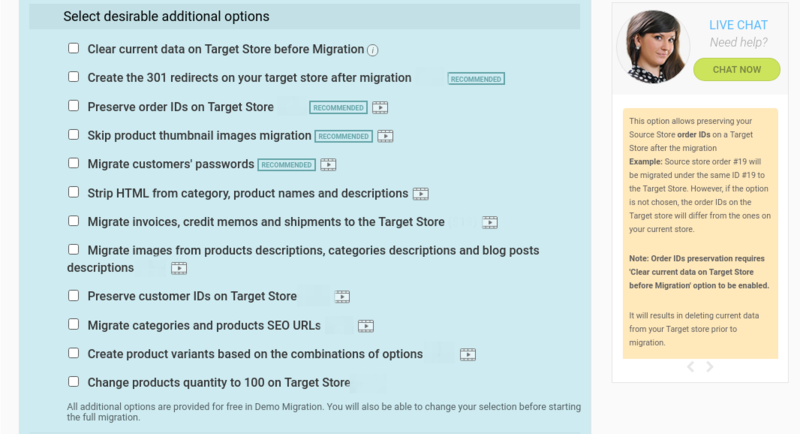 If you lack any of the Order Statuses or Customer Groups on your Target store, you may create and configure them from store’s Admin Panel in another window. Then, click “Check Again” button to refresh data. That’s it! Automated Magento 2 to Magento 2 will start automatically. 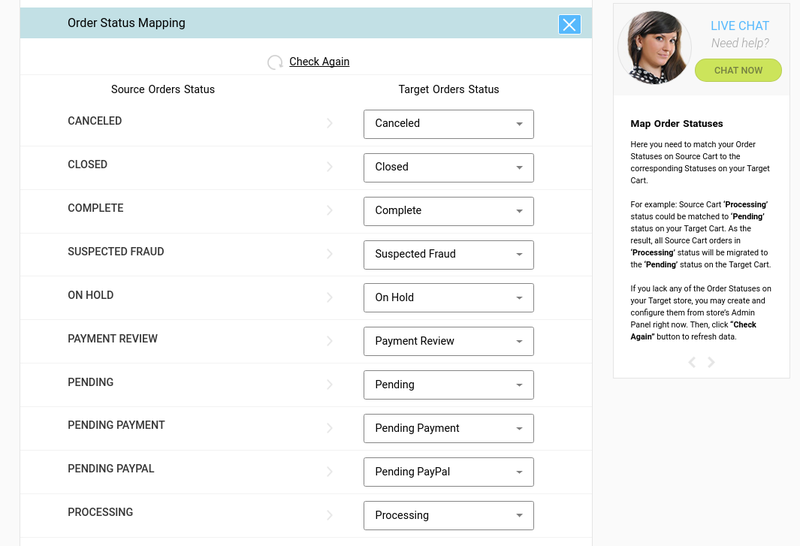 After Cart2Cart successfully transfers all the entities you’ll get an email with the results. Yes, it is that simple! 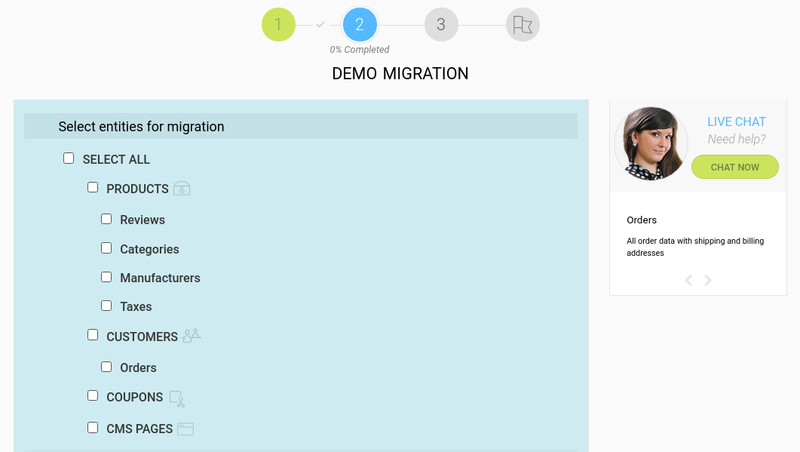 Performing Demo Migration you’ll get the results within half an hour. 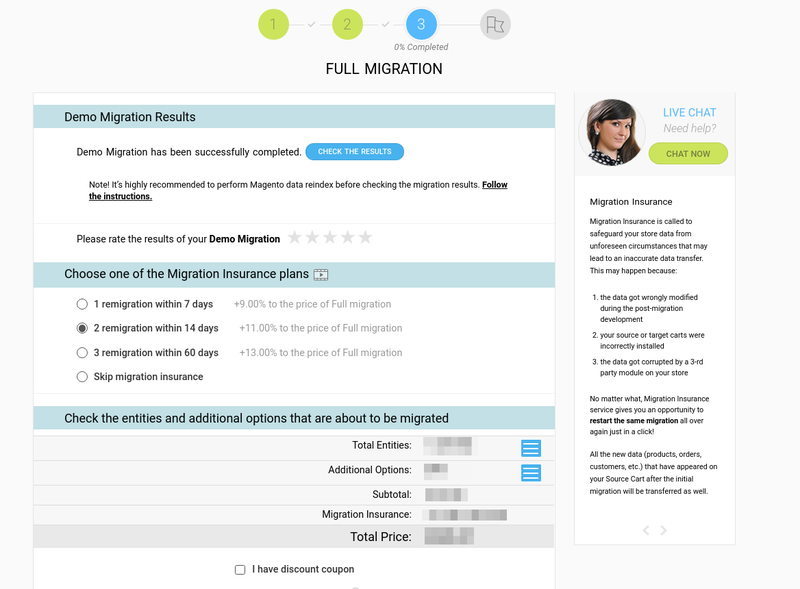 Full Migration might take a couple of hours depending on the number of entities you move. After you launch the transfer you can close your browser window and come back to managing your business. Check what entities you can move either to Magento 2.1 or 2.2 versions. Our guide is much more simplified if compared to all the instructions on Magento upgrade on eCommerce forums and platforms documentations. This is because data migration via Cart2Cart is brightly planned and requires minimum efforts and absolutely no tech experience. One more thing - your current store will remain 100% available for the users. There is no need to make a pause while switching to the updated version. Perform Free Demo and enjoy the benefits of Magento 2 right away! 4 thoughts on "Updating from Magento 1 to Magento 2: A Complete How-to Guide"
Thanks for sharing great tips on Magento 2 migration. Magento has released Magento version 2.3.1, So the question is can we go for an update Magento 1.9 to Magento 2.3.0 or Magento 2.3.1? Sure, you can perform the upgrade from Magento 1.9 to Magento 2.3 with Cart2Crat! Click the Talk to Sales icon in the bottom right corner of your screen and they will help you with your migration! how much will it cost to migrate magento2? Hi there! Thank you for the question. The ultimate price mainly depends on the number of transferable entities. 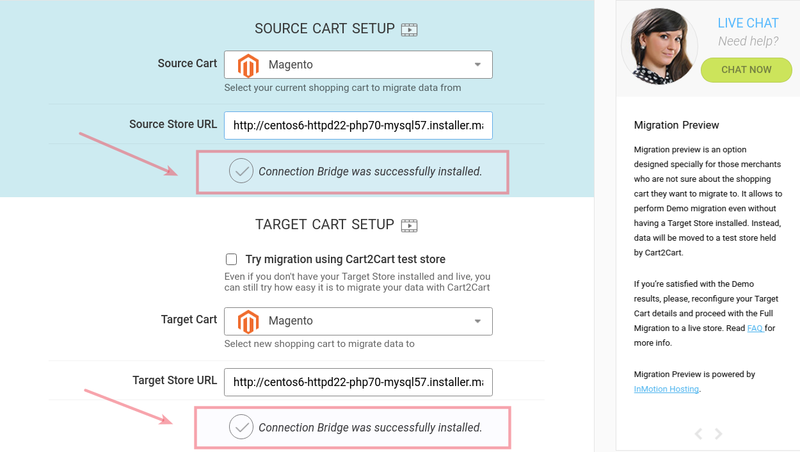 You can estimate it with Cart2Cart Estimator in the “How much migration from Magento to Magento is going to cost?” section (https://www.shopping-cart-migration.com/shopping-cart-migration-options/223-magento-to-magento-migration ). But we’d rather recommend you to reach our support team to know the exact price of products migration to Magento2. In case you have more questions, we’re happy to help!